The message about consent shared by the Uttar Pradesh Police in cyberspace was loved by many on the micro-blogging site and users lauded them to how they put a meaning twist to the ad. A lot is said about consent and how a ‘no’ must not be taken lightly. Yet, there are many who fail to realise the importance of it. 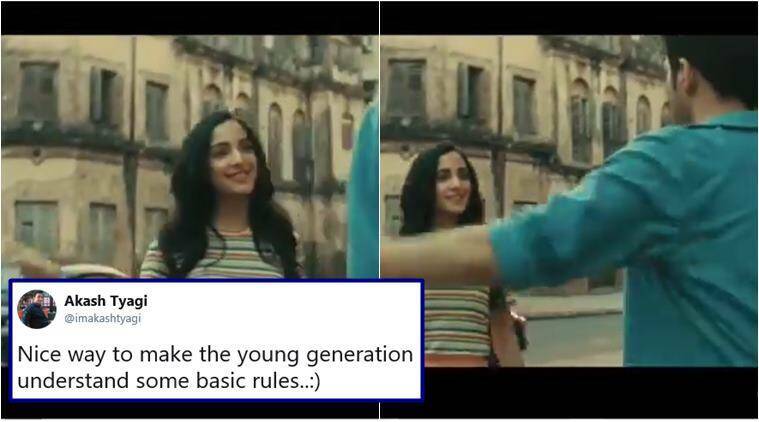 Making a point about consent, the Uttar Pradesh Police on Wednesday shared a clip on Twitter to highlight, ‘A No Means No’ by using a Tinder video and Tweeple loved it. The message about consent in cyberspace was loved by many on the micro-blogging site and users lauded them to how they put a meaning twist to the ad. Great initiative by #uppolice, more such kind of initiatives will make more better society. @Uppolice and this is how you use twitter. This is not the first time, the police made sure about consent is an important factor. Earlier in May, the Mumbai Police issued a similar warning saying, “Respect consent. Else face our dissent”. What do you think about UP Police’s message? Tell us in comments below.